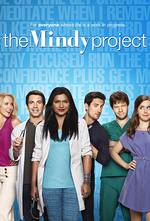 The Mindy Project: What About Peter? Mindy kills two birds with one stone when she convinces Danny to rent his second apartment to Peter, who is living with his old frat brothers, while Morgan helps Jeremy babysit Lauren’s son. Hilarity ensues, as does some personal growth, followed by more high jinks. I just learned two things: first, "high jinks" is generally two words (Chrome's dictionary didn't like "hijinks," so I searched for the proper spelling), and second, Adam Pally is leaving The Mindy Project in 3 episodes. Yay! He's going back to Happy Endings! But more seriously -- I loved this episode except for the tepidly standard-issue "dude babysits" crap. Morgan saved it (as Morgan is wont to do), but jeez, writers, you might as well have just put up a slide saying "B PLOT HERE" and let Ike vamp for four minutes. The Dartmouth frat-house apartment jokes were far better than they should have been. Nooooooooooo! Don't leave, Peter, you adorable schlub. The AV Club said something similar about one of the sitcom standard Danny's mom plots recently, and while I couldn't agree more, the show does manage to make them funny usually. I actually like the idea of them in the writers room daring each other to do a retold plot. I guess if anybody ever throws a wild party when their parents are out of town, we'll have our answer. I admit, I'd like to see Morgan's take on "trapped in a small space." The announcement is weirdly vague, stating he is leaving to work with ABC Studios "to produce projects for broadcast, cable, and new media." Looking at his IMDb page, he was in a made-for-TV movie that no one seems to have any information about, and three upcoming films, where he's the lead in two. Let's see if he'll continue his role as Hollywood's Go-To 'Bro'. I wonder what his in-show reason will be for leaving. Perhaps his "growing up" will take him to some other practice, or he'll get pulled back into his frat bro life and burn out on the doctor gig. And I agree that TMP does standard plots well, which is part of what makes it so fun. I agree that the babysitting B plot was unremarkable, but I really enjoyed the Mindy-Danny-Peter plot in this one. I also like the cute little glimpses of Mindy being into the same silly stuff Danny is into ("Shut up! It's backsplash day?!?"). I thought it was so cute when the baby said,Peter." I want Peter and Lauren to be together! Actually I liked that Morgan was good with babies. I felt it was unexpected even though he was so good with puppies and dogs and is a nurse. I enjoyed this one a lot and am unhappy about Adam Pally leaving the show. Peter and Mindy have a great friend dynamic and as much as I love Mindy and Danny, the show is better with that balance. I think they're definitely setting up a Peter gets back together with Lauren plot, as Jeremy seems to have had the realization that Lauren comes with a kid forever, not just for a weekend, and that's not what he wants. I imagine perhaps this may lead to Peter's departure, as he was clearly committed to bringing up Henry as well as dating Lauren. I appreciated the steak in the beginning, and that Danny just goes with the sleep apnea mask; I love it when characters enjoy each other for their weirdness, not in spite of it. The last scene was excellent, and very well-acted. I love when the show gives Mindy a level of quiet self-confidence which is neither sitcom desperate nor cartoonishly overblown. Also, "Bush is a Kennedy." But jeez, writers, you might as well have just put up a slide saying "B PLOT HERE" and let Ike vamp for four minutes.